Apparently, Adam Jones’ brother, Jonathan, has spilled the beans on his MySpace page that Adam has won a Gold Glove. The awards will be announced tomorrow at around noon on the MLB network (not today, as I said earlier; I read the calendar wrong), but the players indeed have known for awhile, so I give this report credibility. As Derek Zumsteg points out, this doesn’t preclude Franklin Gutierrez, a center fielder like Jones, from winning, since voters (coaches and managers) are just asked to pick three outfielders, regardless of position. However, the Gold Glove awards are largely a popularity contest, and Gutierrez is still a neophyte as a major-league starter. I doubt if many voters are aware of his UZR rating. As brilliant as he was, I’m prepared for Gutierrez to be passed over. I’d be shocked, however, if Ichiro didn’t win for the ninth consecutive year. With Jones and Ichiro down for two of the three spots, there’s just one left for Gutierrez — and what about Torii Hunter, who has won eight straight Gold Gloves, just like Ichiro? Never mind that Hunter played just 115 games in center, because of injuries; the voters tend to pick by rote, so it doesn’t look good for Guti. T.R. Sullivan reports on the oddity of the Rangers having pitching to deal as the GM Meetings open today in Chicago. Congratulations to Russell Branyan, whose wife, Jill, gave birth to daughter Quinn on Friday at 10:25 a.m. Quinn weighed in at 9 lbs, 8 ozs. The Branyans have two other children, son Carter (known as Cash) and daughter Kylie. Here’s a belated summary of the Arizona Fall League Rising Stars game on Saturday: Carlos Triunfel homered for the winning West squad (an 8-7 victory), while Dustin Ackley was 0-for-1 but walked and scored a run. Pitcher Josh Fields worked a scoreless 1 1/3 innings (13 pitches, eight strikes). Phillippe Aumont was on the team but didn’t play. 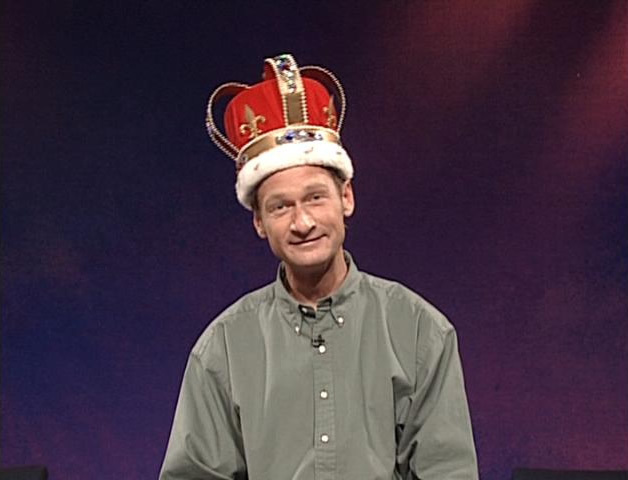 Also representing the Mariners were trainer Matt Toth and Peoria equipment manager Ryan Stiles, who is not this guy. At least I don’t think so. A Japanese “fireballer”, , Ryota Igarashi, has decided to play in MLB next year. Super-agent Arn Tellem (Hideki Matsui’s representative) is going to represent him. Here’s a profile of Igarashi, said to throw 98 mph, from NBP Tracker. The potential trade of Roy Halladay will be one of the biggest stories of the winter (just as it was one of the biggest stories of July). In case you missed it, I did a post late (very late) last night discussing Edgar Martinez’s Hall of Fame chances. He goes on the ballot next month for the first time. The always entertaining Hot Stove League show will begin Wednesday on 710 ESPN Seattle, airing from 6-8 p.m. each Wednesday through February, before morphing into the Spring Training Report in March. (Three exceptions: No shows on Nov. 25, Dec. 23 and Dec. 30). Shannon Drayer will host, with Kevin Cremin producing.